Back to the Future: 25 Years Later | Critical End! 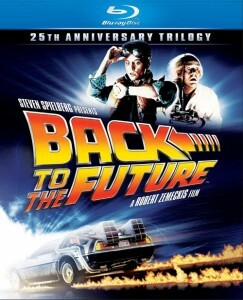 Can you believe that this Saturday marks the 25th anniversary of Back to the Future? Has it really been that long? Rumor has it that Universal is gearing up for some pretty big announcements this coming weekend, but the biggest one has already arrived: The trilogy is finally heading to Blu-ray! Truth be told, between the original trilogy release on DVD and the re-release that came out only last year, there’s not too much that we haven’t seen in the way of bonus features. Click on the new cover art below for the full details. Meanwhile, the folks over at Film School Rejects have put together a great comparison of what the actors look like now, opposed to how Back to the Future Part II imagined they would look like at the same age. Quick summary: Elisabeth Shue is still hot. This entry was posted on Tuesday, June 29th, 2010 at 5:28 amand is filed under . You can follow any responses to this entry through the RSS 2.0 feed. Both comments and pings are currently closed.